Every year our event design team work hard to come up with new ideas for team building activities and events that we can deliver to our clients across the UK from all of our seven corporate event services, and this year is no different. Over the last few months our creative team have been busy designing three brand new team building events which are now available for your next away day. Each of these three events can be tailor made to suit your requirements for the day, including number of teams and the length of your event. With a mix of indoor and outdoor event styles, these events provide a diverse range of options ensuring you get exactly what you want from your event. 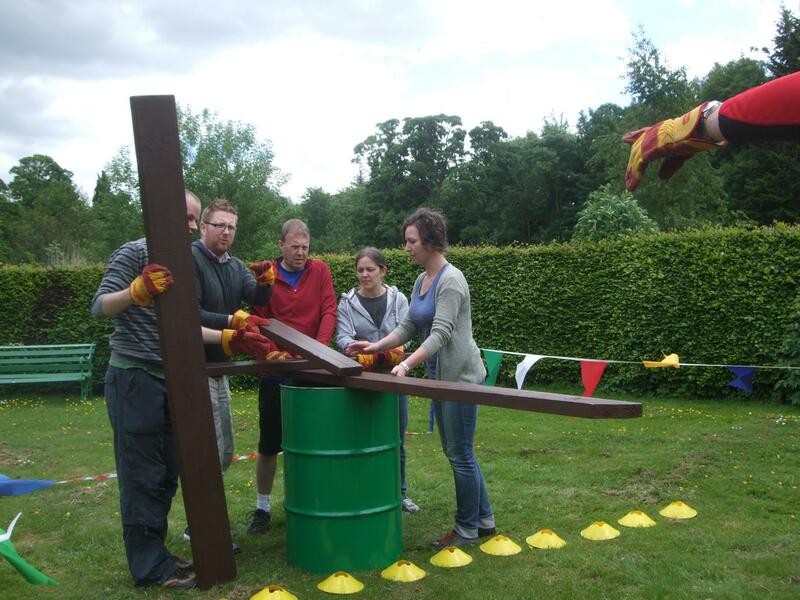 Beat the Clock - outdoor team building event Has your team got what it takes to Beat the Clock?! Step into the time warp to compete in our ice breaker followed by a series of tricky team building challenges that will be sure to test your teams' skills to the limit. Each challenge is split into two parts where teams are given time for planning, practice and refinement before they start their clock and attempt to complete the challenge as quickly as possible. The team with the least time on their clock upon completion of all challenges will take home the Winners' Trophy. Flight - outdoor team building event Welcome to flight school! You and your team members are our new recruits and your aim is simple; to graduate from flight school by designing, building and launching your very own 6ft team plane. You must take part in various challenges throughout the day, with your performance giving them a valuable ‘head start' on the runway when launching your plane at the final stage of the event. See if you have what it takes to finish top of the class. At Team Challenge Company we organise team building days across the UK and Ireland so wherever you are, we can deliver each of these brand new events for you and your team to ensure you an unforgettable experience. Get in touch with our team today on 0845 601 4186 to discuss these events in more detail, as well as the other team building events that we can offer for your next away day. No matter which event you choose we will be sure to make your event... The Event!